Dr. Jeste’s research is focused on the use of novel electrophysiological biomarkers to better define early predictors of autism spectrum disorder (ASD) and to define more homogeneous, brain-based subgroups within the autism spectrum in order to inform treatment targets. She has designed innovative studies in early predictors of ASD to focus on the integration of biomarkers with behavior to define atypical development prior to the onsetof clinical symptoms. Within this framework, she has been investigating and treating infants and children with neurogenetic syndromes associated with ASD. She is the principal investigator of several studies, including early development and intervention for infants with tuberous sclerosis complex and the UCLA Autism Center of Excellence study of high-risk infant siblings. Dr. Jeste serves as the UCLA site director for a multisite National Institutes of Health Autism Biomarkers Consortium for Clinical Trials research study. Clinically, she evaluates and treats patients with ASD and neurological comorbidities, and directs the UCLA Developmental Neurogenetics Clinic. Dr. Jeste has published more than 50 peer-reviewed articles and has been the recipient of the Child Neurology Foundation’s Researcher-in-Training Award and the American Academy of Neurology’s Clinical Researcher-in- Training Award. She serves on the board of directors for the Child Neurology Foundation and was elected to serve on the board of directors for the International Society for Autism Research. Charles Nelson is recognized internationally as a leader in the field of developmental cognitive neuroscience, where he has achieved numerous breakthroughs in broadening scientific understanding of brain and behavioral development during infancy and childhood. 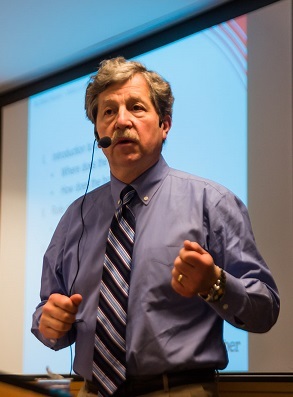 Over the last two decades, Dr. Nelson has focused his research efforts on several different fields. He has a long standing interest in the development and neural bases of memory and in how infants and young children come to recognize faces and facial expressions of emotion. A more recent interest concerns infants and children at high risk for developing autism (such as those with an older sibling with autism or who have a particular genetic variance).He also has a particular interest in how early experience influences the course of development, and in this context has studied both typically developing children and children at risk for neurodevelopmental disorders. Two lines of work in particular stand out in this context. One is concerned with the effects of early biological adversity, such as being born prematurely or low birth weight or having been deprived of oxygen. The second is concerned with the effects of early psychosocial adversity. In this regard, as a Primary Investigator for the Bucharest Early Intervention Project for the last 10 years Dr. Nelson has been studying children in Romania who were abandoned at birth and raised in institutions. Here at Boston Children’s Hospital, Dr. Nelson is the Director of Research in the Division of Developmental Medicine and the Richard David Scott Professor of Pediatric Developmental Medicine Research. He is also a Professor of Pediatrics and Neuroscience and Professor of Psychology in Psychiatry at Harvard Medical School, an adjunct professor in the Harvard Graduate School of Education, and a Professor in the Department of Society, Human Development and Health, at the Harvard School of Public Health. He also teaches classes in Harvard College, and serves on the steering committee of both the Harvard interfaculty initiative on Mind, Brain and Behavior, and the Harvard Center on the Developing Child. Dr. Connie Kasari is a Professor of Psychological Studies in Education and Psychiatry at UCLA. She is the Principal Investigator for several multi-site research programs and a founding member of the Center for Autism Research and Treatment at UCLA. She has been actively involved in autism research for the past 25 years, leading projects under the CPEA, STAART, and Autism Centers of Excellence programs from NIH. Since 1990, she has been on the faculty at UCLA where she teaches both graduate and undergraduate courses and has been the primary advisor to more than 30 PhD students. Dr. Kasari has a wide range of publications on topics related to social, emotional, and communication development and intervention in autism. She is on the treatment advisory board of the Autism Speaks Foundation, and regularly presents to both academic and practitioner audiences locally, nationally and internationally. Dr. Elizabeth A. Thiele is a neurologist and epileptologist at Massachusetts General Hospital. She received her medical training at Johns Hopkins University School of Medicine in Baltimore, Maryland, and completed an internship and residency in pediatrics at the Johns Hopkins Hospital. She completed a second residency in child neurology and a postdoctoral research fellowship in neurology at Children's Hospital in Boston. Dr. Thiele organized and established the Herscot Center for Tuberous Sclerosis Complex, a multidisciplinary comprehensive clinical program for TSC, as well as a ketogenic diet clinic to treat and manage patients with epilepsy. She is also the Director of the Pediatric Epilepsy Service at Mass General and a Professor in Neurology at Harvard Medical School. Dr. Nicole McDonald is a clinical psychologist with expertise in the development of infants and toddlers at risk for autism. 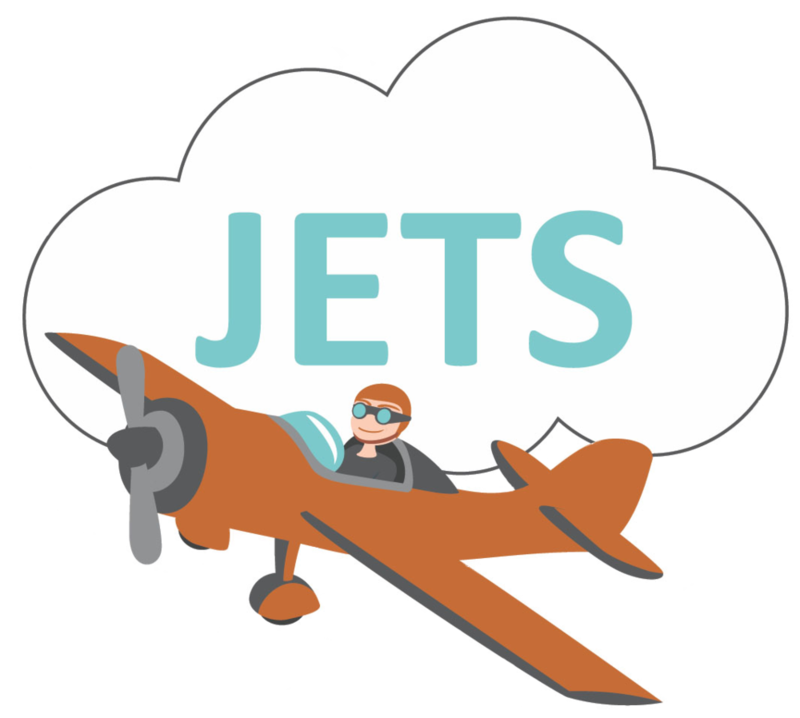 She oversees the clinical components of the JETS study. Dr. McDonald received her undergraduate degree at UCSD before obtaining a PhD in Clinical Psychology from the University of Miami. During her graduate training with Dr. Daniel Messinger, her research focused on the early social-emotional development of the infant siblings of children with autism. She continued her work with infants and toddlers as a postdoctoral researcher in Dr. Kevin Pelphrey’s lab at the Yale Child Study Center, where she was awarded a Ruth L. Kirschstein National Research Service Award through the National Institute of Mental Health. As part of this fellowship, she has conducted a longitudinal study seeking to predict individual differences in infant social development based on early brain responses to social stimuli, which were measured using near-infrared spectroscopy (NIRS). 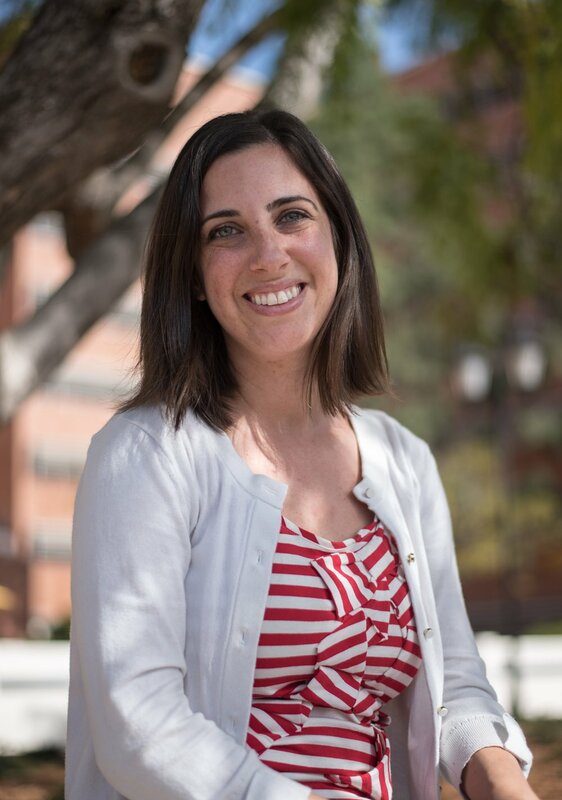 In the Jeste lab at UCLA, Dr. McDonald has been extending her training to include EEG methodology and studies of young children with genetic syndromes such as TSC. The goal of Dr. McDonald’s work is to increase our knowledge of typical and atypical social-emotional development in the first years of life in order to improve outcomes for children at increased risk for autism through earlier identification and more targeted intervention efforts. Carly joined the Jeste lab in the summer of 2017 after graduating with B.S. 's in Neuroscience and Studio Art from Bucknell University. Through her undergraduate years, Carly worked as a therapy aide and camp counselor for children and young adults with disabilities, and continued to work with the ASD population as a research assistant at Geisinger's Autism and Developmental Medicine Institute. Carly currently works the UCLA study coordinator for this project. Jack graduated from Tufts University in 2012 with a B.S. in Biopsychology. During his time there he worked in a variety of labs: from the interpersonal communications and psychopharmacology labs at the university, to the Gabrieli and Feng labs in the Brain and Cognitive Sciences department at MIT. 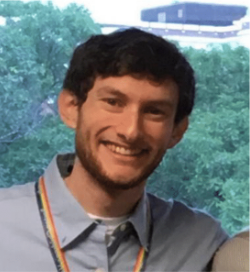 After college, Jack worked at a specialized school for children with autism as well as in a cognitive neuroscience lab at MGH – he also took this time to finish up some prerequisites in a post-baccalaureate program. Currently, Jack is helping out with multiple studies in the Nelson lab with a focus on the ACE study, which aims to broaden our understanding of gender differences in autism. James Barnett is Clinical Research Coordinator at Massachussets General Hospital under Dr. Elizabeth Thiele. He received his undergraduate degree from Boston University, where he majored in Behavior and Health. He has prior experience working with kids with ASD, and has conducted research on ASD under Boston University’s Families and Autism Lab. Linnea graduated from Boston College with a masters in Child and Adolescent Counseling Psychology where she was able to engage in both clinical work and research projects. Her clinical work was focused on severe psychopathology in children and adolescents and her master’s research focused on parent-child engagement in relation to the developmental of language and social communication in young children with autism spectrum disorders. Linnea’s clinical and research interests are focused on accurate diagnosis, and subsequent intervention of disorders presenting in early childhood. She joined the Nelson lab in 2016 and is the clinical research manager for the neurodevelopmental disorder projects, as well as the JASPER interventionist.